This Haiku is for the dozens of honey bees that visit my collection of rosemary and lavender each morning. 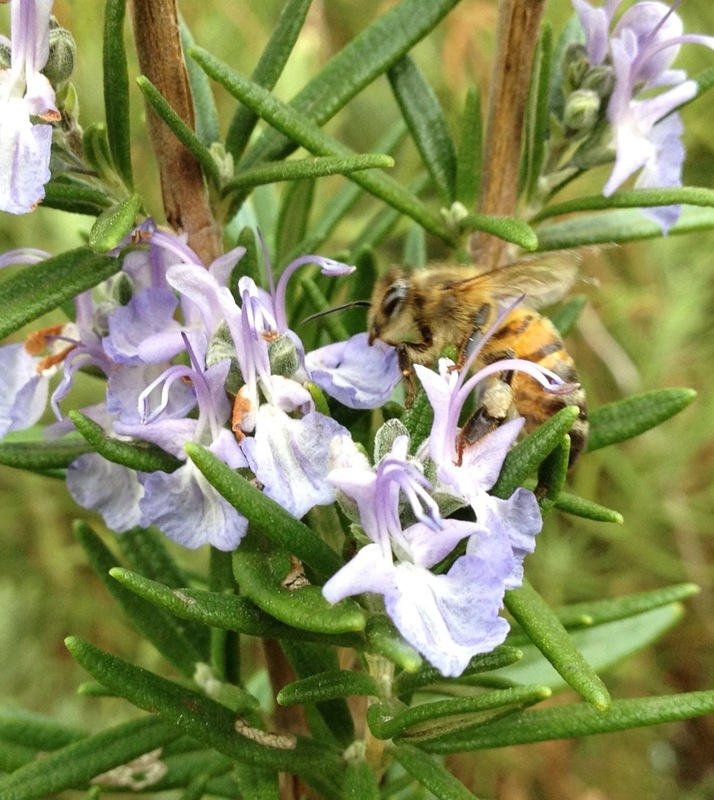 One rosemary in particular is prolific in baby blue flowers for most of the year, which bees find irresistible. 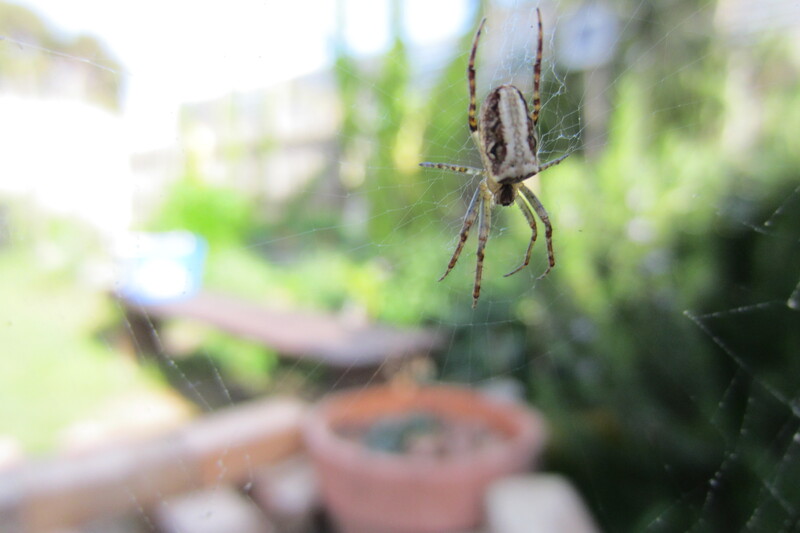 Over the Winter months, rosemary is a haven for insects, and spiders make a home there in search for their fair share. If you haven’t seen it, bees can be forceful in how they access nectar and pollen. Long stemmed plants like rosemary will sway or shake with enough bees at work, and in the frosty morning hours of this August and September past, water was flying off as if it had been tapped with a stick. Originally designed as a wind break, the rosemary and lavender hedge is one of the garden’s main attractions. There is a flat wooden bench there, between the hedge and some cherry trees, with an orange and lime close by. Dawn brings buzzing bees and the sound of moving water; a water pump powered by the Sun. I’m in no hurry some mornings. Tags: bee, lavender, Rosemary. Bookmark the permalink. Great Haiku. Don’t see too much of it around on non poetry sites, and enjoyed the narrative below that and the photo, so in summary enjoyed all of it.